Download a PDF of the Stibo Systems Case Study here. In today’s world a company’s data is no longer just a requirement, it’s a valuable commodity. 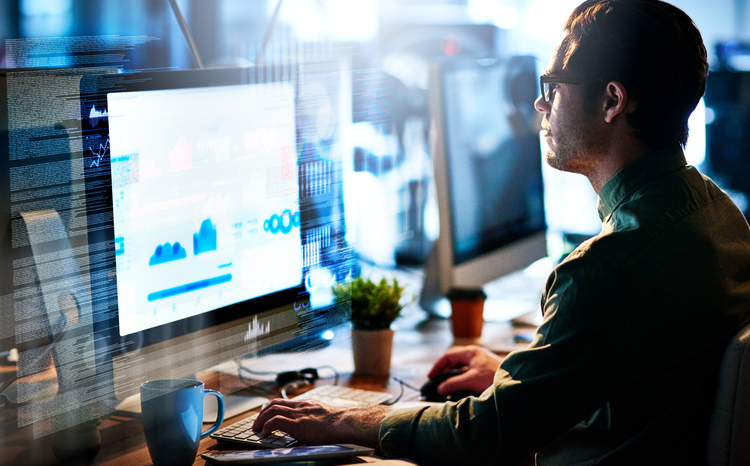 To leverage the potential of this data, enterprises are turning to Master Data Management platforms, a comprehensive method of enabling an enterprise to link all of its critical data. Stibo Systems provides Master Data Management to clients like Toyota, Office Depot, Best Buy, Sears, and Kellogg’s. “Have you ever looked at the nutritional label of a product that you are purchasing? Product information of how many calories and milligrams of sodium it contains, as well as its location, destination, and cost. You can imagine the massive amount of data points across an entire retail enterprise,” says Esvan Costa, System Architect at Stibo. Stibo empowers their customers to manage that data across disparate technologies like Point of Sale, Supply Chain, eCommerce, ERP, and Business Intelligence. “The end result is highly enriched intelligence across all of these systems,” says Costa. In the field of Master Data Management, the key competitive advantages are flexibility to tailor solutions to clients’ needs and quick time-to-delivery. Jens Skjoedt, Director of Customer Support at Stibo, implemented a cloud-based software delivery model to drive progress on both fronts. “Offering our solution in the cloud allows us to offer rapid deployments of a consolidated product encompassing software, infrastructure, and managed services like backups and disaster recovery, security, and updates,” said Skjoedt. To implement their cloud-based solution, Stibo turned to Logicworks, a top cloud services company. Logicworks brought a seasoned team of cloud experts to assist Stibo with the design, build, and migration of their cloud-based applications. This involved multiple discovery sessions with their team, a custom architecture design that incorporated their specific security and scalability requirements, and unlimited access to Certified Engineers during the migration process. “We wanted a partner with expertise in DevOps and cloud security, but culture was also very important,” says Skjoedt. Stibo Systems has been around since the 1700s and has a reputation for exceptional customer service. “We wanted a partner with longevity, focus, and a desire to pursue a long-term partnership. Logicworks stood out from the competition through their knowledge, dedication, and culture,” says Skjoedt. To learn more about Logicworks, contact us or visit our website, www.logicworks.com.